Skin1: Meet Our Doctors - Shop at Skin1! Bonnie Vulich, D.O., is Skin1's newest medical director, and the founder and owner of Refine Medical Spa, across from Northwestern Memorial Hospital and neighbor to Skin1. Dr. Vulich, a board certified Emergency Medicine physician, decided it was time to fulfill her vision of offering breakthrough technology in the most advanced aesthetic treatments. A graduate of the Chicago College of Osteopathic Medicine in 1986, Dr. Vulich completed her rotating internship and residency at the Chicago Osteopathic and Olympia Fields Osteopathic Medical Centers, as well as at affiliated training centers, Cook County Hospital, Rush University Medical Center, and Loyola University Hospital. She was a physician mentor to the women residents in the Emergency Medicine Residency Program. Dr. Vulich has been a member of numerous professional societies including the American Academy of Anti-Aging Medicine, the Institute of Functional Medicine, the American Society of Laser Medicine and Surgery, the American Medical Association, the American Medical Women's Association, the American Osteopathic Association, the American College of Osteopathic Emergency Physicians, and the American College of Emergency Physicians. She is currently pursuing a Fellowship in Anti-Aging, Regenerative, and Functional Medicine. Focusing on aesthetic maintenance and prevention, Refine Medical Spa is renowned for expert advice and individualized treatments administered by licensed skincare professionals. Each client's needs are addressed on an individual basis with personalized follow-up as directed by Dr. Vulich who is on site. Refine's services are designed to satisfy the growing demands of today's educated customers who are seeking minimally invasive procedures to look and feel the best they can at any age. These services include state-of-the-art, physician-administered, laser procedures such as skin rejuvenation, acne treatments, hair removal, fractional skin resurfacing, skin tightening of the face and body, laser lipolysis, noninvasive fat reduction lasers including Zerona and SmoothShapes, and the new Exilis Aesthetic System that stimulates body contouring and formation of new collagen. Dr. Vulich is best known for her expertly administered injectables such as Botox Cosmetic, Juvederm Ultra XC and Ultra Plus XC, and Radiesse, Sculptra, and Artefill. She is also proud to be offering prescription HCG protocol for prevention of Metabolic Syndrome. 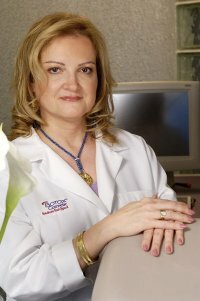 For more information on Dr. Bonnie Vulich, or to inquire about non-surgical and non-invasive treatments, please visit https://www.refinemedspa.com/, or call 312-867-0600. For over five decades, Fred Levit, M.D., served as a dermatologist and attending physician at Northwestern Memorial Hospital, and was voted one of the top dermatologists in the Chicago area. In addition to providing consulting services for Skin1, Dr. Levit continues to be involved with numerous professional societies and national and local committees, often serving as chairman or president. Dr. Levit was a pioneer in medical computing, writing many papers and articles in the field, as well as on additional dermatological subjects. He has held multiple academic appointments throughout his career, including a post as Emeritus Professor of Clinical Dermatology at Northwestern University. Ed Shmunes, M.D., is a consulting dermatologist for Skin1. Dr. Shmunes received his medical degree from the University of Florida, completed his dermatology residency at the University of Pennsylvania and was Board Certified in Dermatology in 1971. He established a private practice in Columbia, South Carolina where he provided dermatological services for over 40 years before retiring to pursue his passion for photography. A self-taught artist, Dr. Shmunes' photographic work appears in numerous museums, private and corporate collections and art galleries.